At some point in your career you are going to stumble across a point where you come to the realization that someone you trusted has been essentially working against you behind your back the entire length of the relationship. First you need to understand why someone would do that. It doesn’t necessarily mean that they are “evil” but it does unfortunately mean that whatever their personal issue is, they felt the need to jeopardize your success to fulfil some gap in their own confidence. Robert Kraft once said “jealousy and Envy are incurable diseases”. 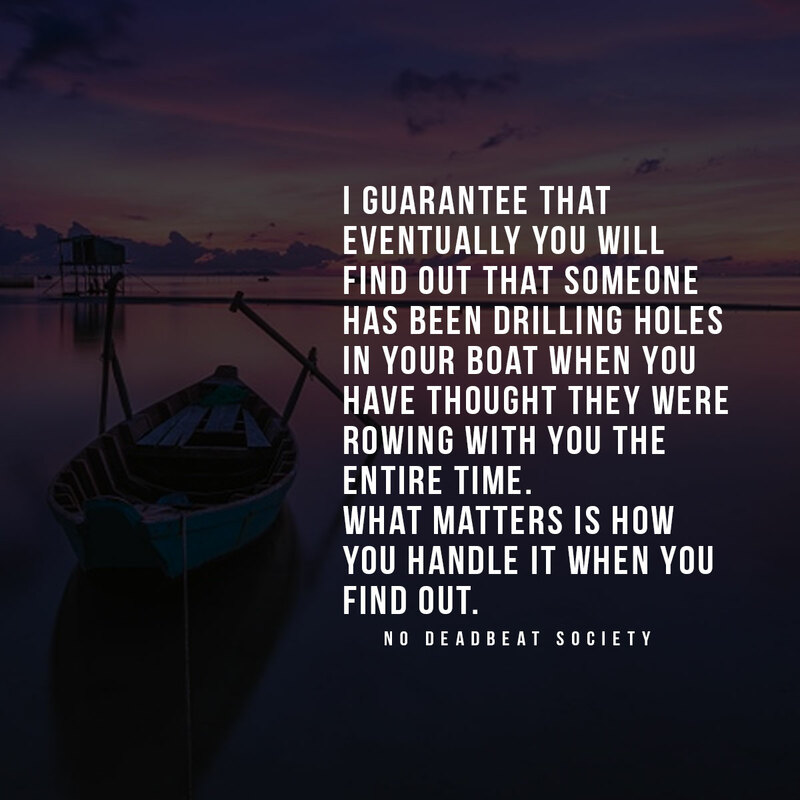 As you work through trying to understand why someone had acted that way towards you, and I can guarantee you that in the corporate world it will happen, you have to keep this in mind. It really is a case of “its not you, it’s them”. My over arching messaging is always to be authentic, be true to yourself, work hard, be genuine and be a good person. This type of philosophy may seem like it could get you “eaten up” in the corporate world, but generally over time I have found that it is always a path to success. Business is tough, business can be ruthless, everyone is jockeying for political power and trying to earn more for themselves for their families, however when relationships come full circle and get exposed you will find that you have created many more alliances and friendships by being true to yourself instead of attempting to negatively impact someone else’s career. To be completely transparent in this writing, these people exist everywhere. At every organization and in every business. After long periods of time it’s very easy to determine who they are, sometimes we still slip up and miss the signs though. My promise to you, the reader, is that if you stay true to yourself and focus on working hard and being a good person in the end, even if you leave your organization, or enter into a situation of major conflict, you will find yourself in a much better place by being authentic and empathetic. 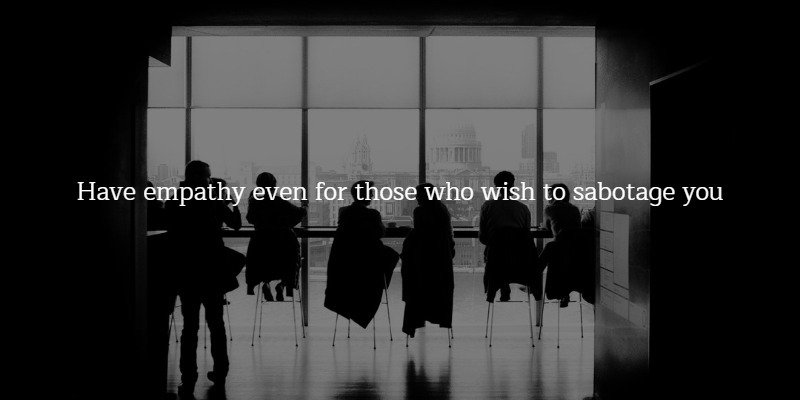 Have empathy even for those who wish to sabotage you, for they are clearly dealing with something in their minds much worse than you are.